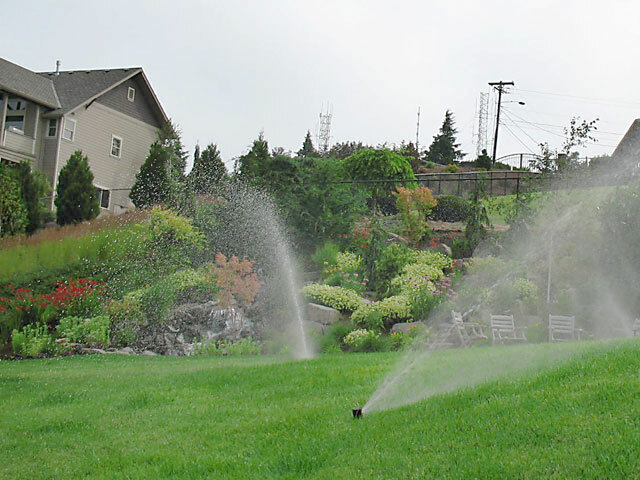 We provide our residential customers with their irrigation and sprinkler design, sprinkler installations, repair, and maintenance needs. We design a unique layout for each yard for optimum coverage of water. When your irrigation system has a problem count on us to locate the origin of your problem and remedy it. When you think of the well-being of your yard's irrigation sprinklers, think Above and Beyond Landscape. 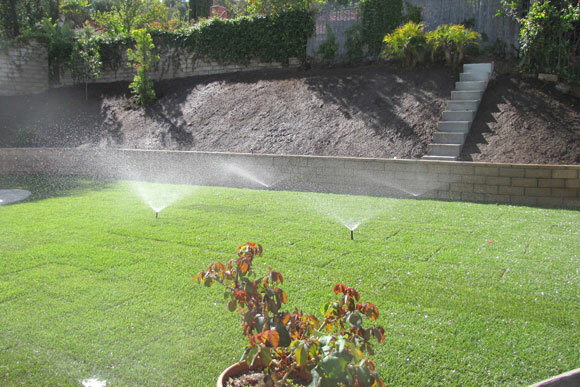 Your irrigation system is vital to the long-term well being of your landscape. A leaking/broken system or a poorly adjusted controller can be detrimental to your plants, water bills, or the look of your yard. It is, therefore, vital to maintain a functional irrigation system. Why wrestle with manual sprinklers and hoses when we can install a sprinkler system to keep your garden lush and healthy with less hassle? We do installations for residential sprinkler systems. 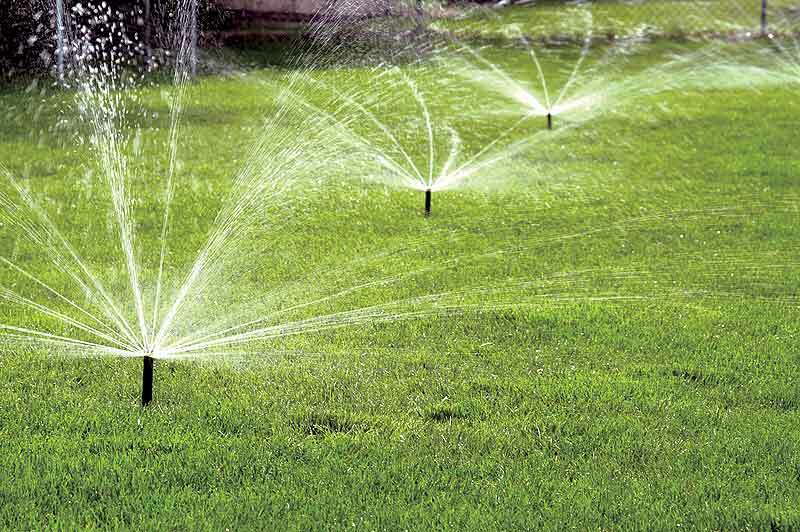 A professionally maintained irrigation system is an investment in your property. 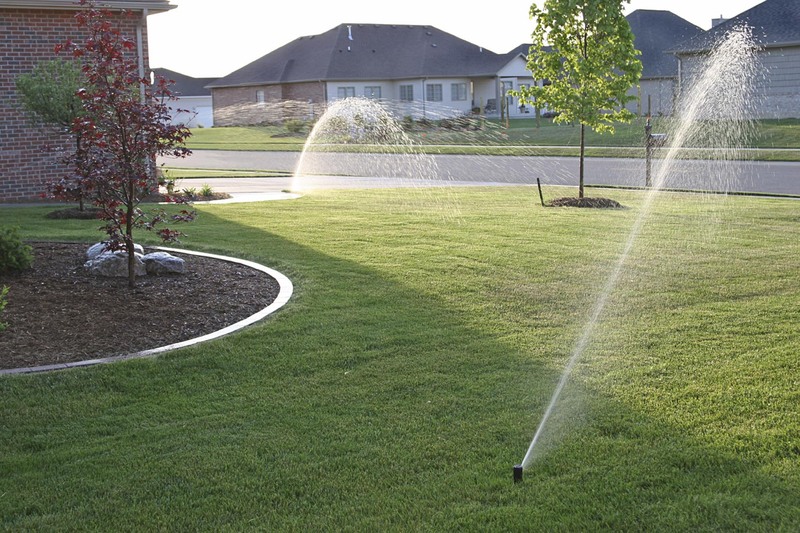 Our irrigation experts will repair your irrigation system to keep your lawn green and beautiful.